Let’s have a detailed review of HDFC Securities Mobile Trading App. In this Article, you will find in-depth understanding of HDFC Sec mobile app, its features, set-up process, pros, cons & more. Please have a look below to know about HDFC Securities Trading App. The stock market is a place where the occurrence of fluctuations is a constant thing. So in order to trade profitably, one needs to keep knowledge of the changes going on in the market all the time. One needs the updates constantly. So we bring to you the solution in the form of the HDFC securities Android trading App. Through this app, you will be able to receive the required information regarding the changes taking place in the market. It provides you with the charts containing the data that is needed to make better investment as well as updates and ideas on the basis of which the market is working. The app is easier to use and navigate. It helps you take advantage of every opportunity that comes in trading. 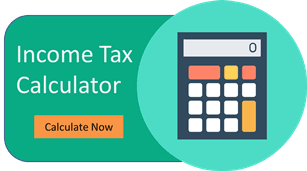 Get a Call back from HDFC Securities – Fill up the form now! Various features of the HDFC Securities Mobile Trading App that make it really user-friendly are the following. One gets to trade in equity as well as derivatives. Get updates of the stocks immediately. Keep getting the news and notifications of the market. Know everything that can impact your trading. Charts available for understanding the working. Be on the top of the market with the features. Intraday real time charting available. You can search for the best opportunities. Multiple watch lists and convenient tracking. Contact us on our nearest branch. With these features, you can have an amazing experience of trading wherever you are. How to setup HDFC securities Mobile Trading App? It’s very easy to setup the platform for the HDFC securities mobile trading app. You just need to go to the Google Play Store on you Android mobile phone. After opening the page, you need to type the app’s name in the place given and start search. Once it is done you can install the app by clicking on the install option. Sometimes the installation doesn’t happen due to memory problem. Same will be informed to you so then you can create space for it and then again install the app. Then you just need to fill up the details and login to use the app. How to own HDFC securities Mobile Trading App? You can open a free demat and trading account clicking on Open Demat Account Button below & filling up the form. You will be asked to fill some details like your name, mobile number and city. Then submit the form. Hence you are authorized to get contacted by the HDFC securities and then you will be able to open your demat account. Post opening Demat Account you will receive Client ID & Password. Enter your client ID & password to login to the app. The process of owning the App is very simple & straight forward. Please click on the Open Demat Account link below to start. This app lets you trade as well as sends you notifications regarding any activity in the market that you would like to know about. It provides a number of navigational and operational tools to help you manage your assets in an easier way. You can do multitasking while managing multiple accounts at the same time. You get to have real-time alerts from our app to be aware of the performance of your stocks. Enjoy safe and secure trading with our app as we do not compromise on these points. Your account and transaction details will be completely safe as we protect them with a very effective encrypted firewall. Hence you can be relaxed and free from all fraud. This mobile trading platform that we are providing you with has been successful in making trading a simpler thing and an easy task to manage, while being secured and aware of the events and changes that go through in the market any time. There are many options available on the app with which you can choose from and do the trading. You are always ahead of others on this app as it gives you proper data of the fluctuations taking place in the market. Ours is a user – friendly app. 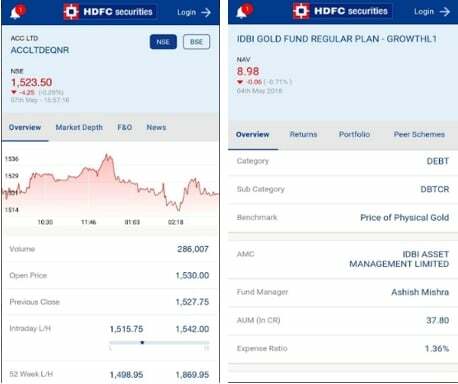 At overall level the cons mentioned about the App is comparatively low, as the HDFC Securities Mobile Trading App is very decent for user experience. 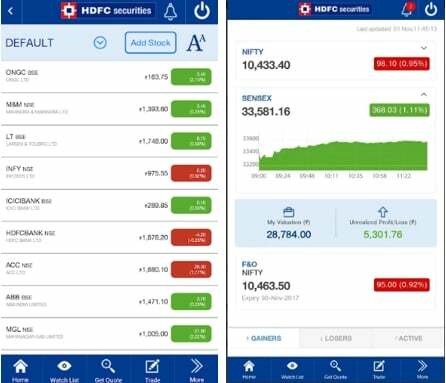 HDFC securities mobile trading app is hence a really useful application to trade online through a mobile phone in your hand while getting such features. It is safe, provides some unique features, gives time to time alerts as well. It is a very convenient way of trading in the market’s top stock exchanges.